Tropical flowers dazzle your senses with their unique shapes, vibrant colors, and exotic fragrances. With their elegant beauty and dramatic appearance, tropical blooms create an exotic retreat. 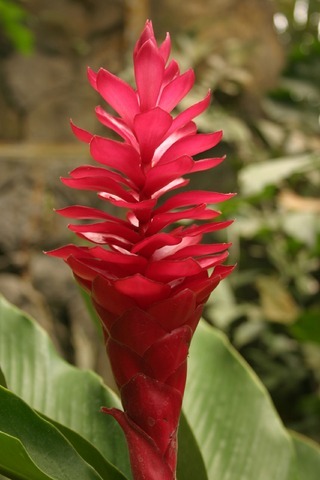 Exotic flowers add tropical style to your home, garden, or landscape! Exotic flowers add a hint of color, or make a huge splash in any room in your home. They have a long vase life, and can last up to two weeks with the proper care. Unpack your flowers immediately (do not place them in the refrigerator). Cut off ¼ inch of stem (be sure to cut at an angle). Place flowers in a vase of water at room temperature. Check flowers daily, and add water to the vase as necessary. You can also mist flowers daily to extend life. Add bleach to the water to prevent bacterial build-up. Some florists will supply a water clarifier and nutrient supplement. 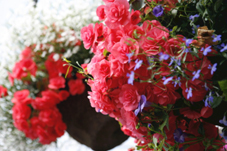 Keep flowers out of direct sunlight, and be sure they are in an area that is warm (above 50 degrees). 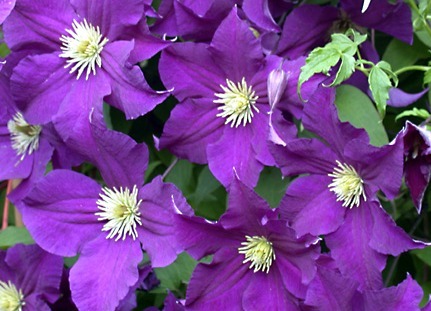 Understand the climate or zone you live in – this will help you choose flowers that will flourish. Know the amount of time to you intend to spend caring for your flowers – if you want to spend minimal time, choose low-maintenance flowers. Be aware of the individual requirements of the rare flowers you would like to plant – some will require plenty of shade and minimal water, while others will thrive in sunlight and humidity. 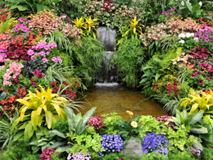 Remember, adding hardier tropical look-a-likes to your garden or landscape will accomplish the exotic look and feel you desire, while reducing the amount of time you spend on care and maintenance of true tropicals and subtropicals. No celebration is complete without flowers. 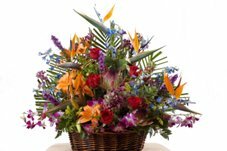 Exotic flowers are a popular choice because of their bold colors, unique textures, and exotic scents. 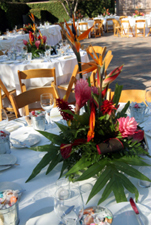 The addition of exotic blooms to your event will leave a lasting impression on your guests. Plan a tropical wedding theme using Hawaiian tropical flowers – choose dramatic, colorful blooms for your cake, centerpieces, bouquets, and boutonnieres. Consider having your wedding party wear leis. Choose a Hawaiian Luau for your party theme - fresh flower leis make a memorable gift for your guests and can be special ordered in advance. Incorporate tropical flowers into your decorating theme for milestone celebrations – anniversaries, birthdays, graduations, etc. 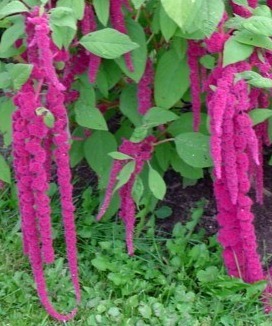 The Amaranthus caudatus plant (also known as Amaranth Plant, Love-Lies-Bleeding and Tassel Flower) is an attention-getting, bushy plant from South America that can grow up to 5 feet (1.5 m) tall with a spread of 1 to 2 feet (30 – 60 cm) wide. 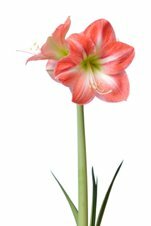 Amaryllis Belladonna (also called Apple Blossom Flower and Belladonna Lily) is one of the most beautiful flowering bulbs, and is known for its vibrantly colored trumpet-shaped flowers. 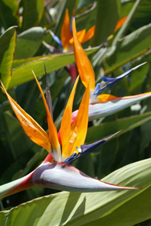 The bird of paradise flower (also known as Crane Flower) can grow up to five feet tall, with a spread of two to four feet wide. Bird of paradise flowers resemble an exotic bird’s beak with a spray of brilliant orange sepals and midnight blue petals as head plumage. The beautiful bleeding heart plant (also known as Dicentra spectabilis) is a perennial shrub featuring heart-shaped vibrant pink or bright white flowers with a long petal extending below the heart. The attractive fern like foliage is blue green in color. 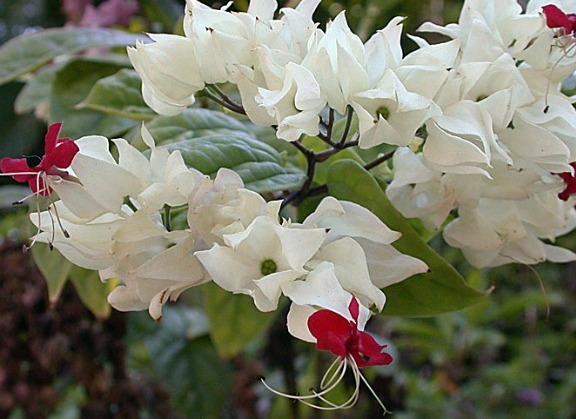 The tropical Bleeding Heart Vine (also known as Glory Bower and Clerodendrum thomsoniae) is a beautiful exotic vine that puts on an amazing display of stunning red and white flowers. This tropical climbing vine produces beautiful flowers which resemble a group of hanging bleeding hearts. 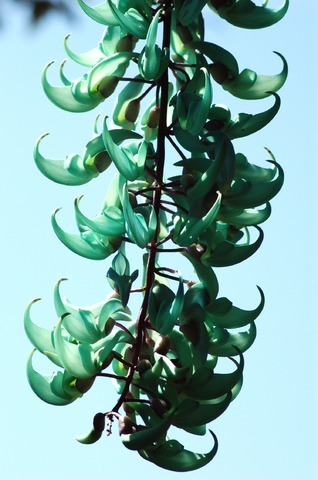 The Blue Jade Vine (also known as Emerald Creeper, Flor-de-Jade, and Strongylodon macrobotrys) is a beautiful tropical vine that puts on a spectacular display of turquoise colored flowers. This exotic climbing vine produces a cascade of gorgeous blue-green flowers that dangle in midair. 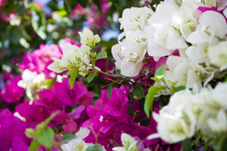 The Bougainvillea plant is known for its colorful flower bracts and quick growth rate. These evergreen climbers can be grown in containers, hanging baskets, or above-ground planters. Ginger Plants (Zingiberaceae) contain around 1,000 species of tropical perennial herbs. Some gingers are cultivated for their edible rhizomes, which are used as both a medicine and a culinary spice. Other gingers, known as ornamental gingers, are grown primarily for their pleasing appearance. 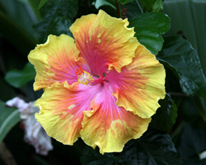 Hibiscus trees, plants, and shrubs are known for their brightly colored exotic flowers. There are over 200 species of the hibiscus tree, with a wide range of flower colors including red, yellow, orange, pink, purple, and blue. 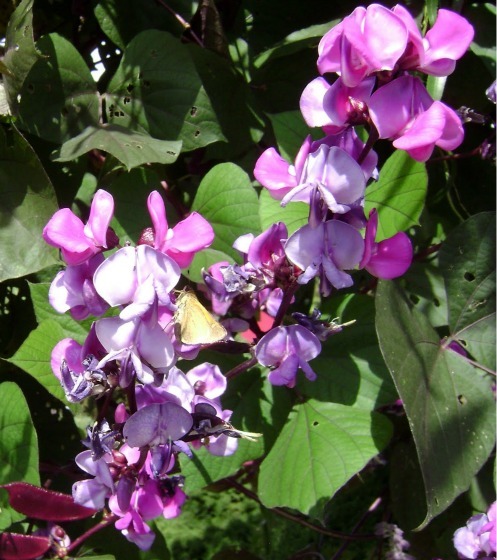 The Hyacinth Bean Vine (also known as Hyacinth Vine, Lablab purpureus, and Dolichos lablab) is a beautiful fast growing vine that puts on an amazing display of purple or white flowers, dark green foliage, and velvet-like bean pods. 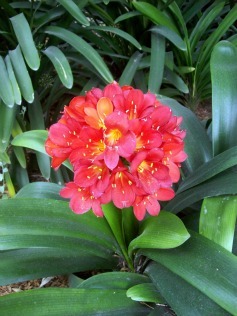 The Kaffir lily, also referred to as Clivia miniata and Fire Lily, belongs to the the amaryllis family (Amaryllidaceae) and is native to South Africa. Clusters of 10 – 15 trumpet-shaped flowers bloom above a thick, upright stem. 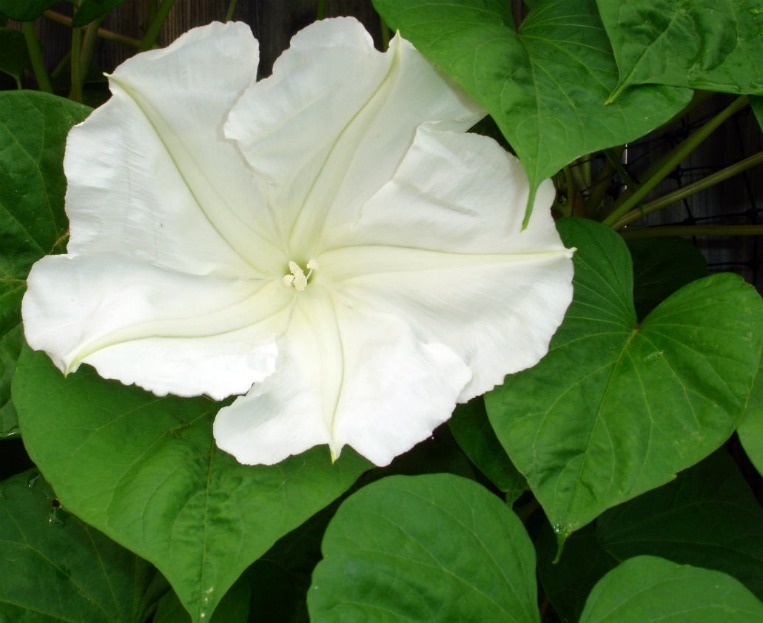 The Moonflower Vine (also known as Moon Plant, Moon Vine, and Ipomoea alba) is a dramatic tropical vine that puts on a beautiful display of large, white, night-blooming flowers. 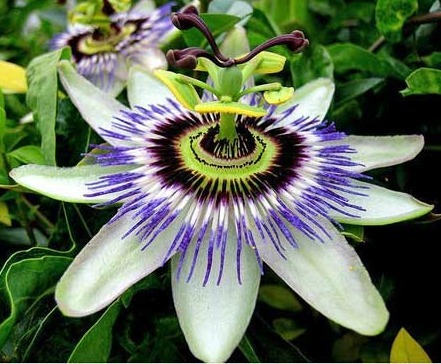 The Passion Flower Vine (belonging to the Passiflora genus) is a dramatic flowering vine that is primarily grown for its exotic flowers and fruit. Two popular species include Passiflora caerulea and Passiflora incarnata. Plumeria flowers (also called frangipani flowers) are well-known for their intense fragrance and beautiful pinwheel shaped blooms. 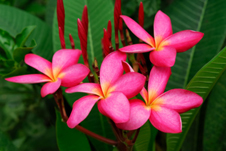 Plumeria flower colors include white, yellow, red, pink, or a combination.